Witness – "The game is constantly shoving moments of confusion and hilarity based around one's ability to recollect odd data and you quickly fall into the clutches of the design and fun emerges effortlessly." Fields of Arle – "A fairly complex, sandbox, worker placement game. The mechanics themselves are not complicated, but seeing how everything fits together can take a few plays." 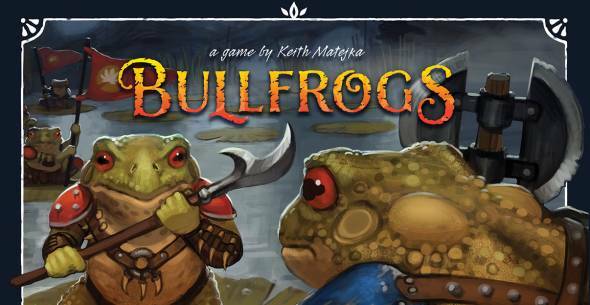 Bullfrogs – "Lead your army of frogs and bullfrogs to claim the swamp as your own! The key to victory in this game is not military might, but the ability to quickly adapt." Troll Hunt – "Players compete to save their modular landscape from trolls  by shining a light from one of their lanterns directly into the eyes of a troll." Pay Dirt – "About the gritty and competitive world of modern-day gold mining in frigid Alaska." SafeBreaker – "Anthropomorphic Teddy Bears breaking into safes. Teddy Bear Criminals. Crazy fun." Choice Words – "A fun party game that's great for family game night. It's so easy to pull out and start playing immediately. It's also a party game that's easy to say, 'just one more'." El Gaucho – "A lighthearted game about going to the dice rodeo and then collecting high scoring cattle"
Evolution – "A game of survival of the fittest. You evolve your species to help them eat, breed and defend themselves." Bigfoot – "Stories are told of a large man-like creature that roams the woods. He's said to be 10 to 12 feet tall and is more ape than man. Cryptozoologists have searched the area for years but have never been able to provide definitive proof of this creature's existence. That's about to change  maybe  as one very determined scientist enters the woods with is gear." King of New York – "Combating monsters in the city that never sleeps"
Grog Island – "In Grog Island, players take on the role of retired pirates trying to convert their lives of plunder into solid business investments on the 5 peninsulas of said island." Versailles – "King Louis XIV of France hires two to five players as architects and craftsmen to build him a fabulous palace. Whoever can contribute the most ornate, well-built segments of the palace will win." 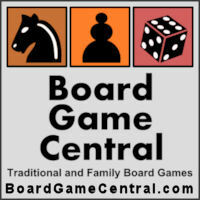 Rhino Hero – "A family game that plays like Jenga but with cards. You construct a building and the cards you place as roofs will affect the next player (kinda like Uno)." Mythotopia – "The theme is that of medieval fantasy kingdoms trying to gain dominance in a world similar to England in the dark ages. It feels more historical than fantastical." Onward to Venus – "A game about colonizing the solar system by building a powerful army and seizing exciting opportunities at the right time"
Musée – "A quick card game where players arrange their works of art in the most pleasing way possible""